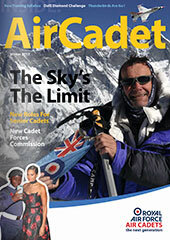 Manningtree Air Cadets will be at the Tendring Show this weekend on the 10th July 2010. Come and talk to us on our stand, in the Education tent, its a great way to find out more about us! We will also be joined by the 614 Volunteer Gliding School with one of their Viking gliders. Come and have a look and talk to the Pilot instructors from the School. Tendring Show website. Categories: Formal Events, Manningtree Air Cadets, Social Events | Permalink. Manningtree Air Cadets took over three lanes at Colchester Tenpin Bowling for a couple of hours, our competitive streaks soon kicked in and strikes were the name of the game. Many different bowling styles were displayed including Cadet Bettle’s backwards bowling technique and Cadet Harvey-Smith’s incredible ‘stationery-ball-halfway’ achievement!! Half time food was devoured in seconds by all. Staff also joined in with C.I. Enever getting the best staff score despite being blinded constantly by a rogue light display in one lane! Cadet Kennel was the top scorer for the cadets. Categories: Social Events | Permalink.